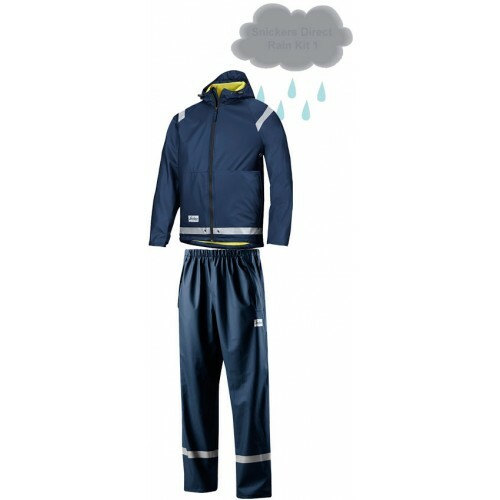 Snickers Clothing have redesigned the rain jacket made from PU material, Beat the rain. For a 100% dry working day, wear this completely waterproof, PU-coated rain jacket with welded seams. Made of smooth and stretchy fabric for superior comfort. Conforms to EN 343.